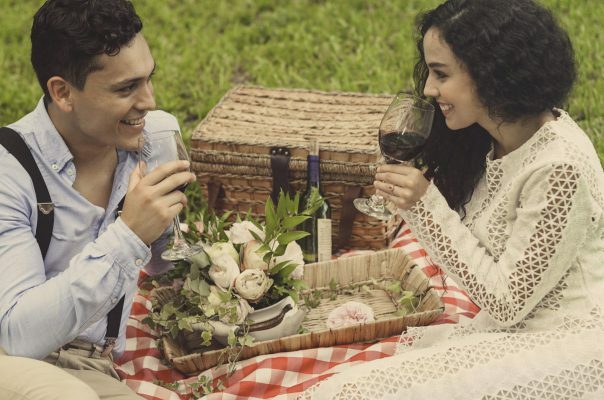 Colombian actress and singer Ana Maria Estupiñan celebrated her engagement to fiancé Mattias Bylin with a romantic picnic photoshoot. 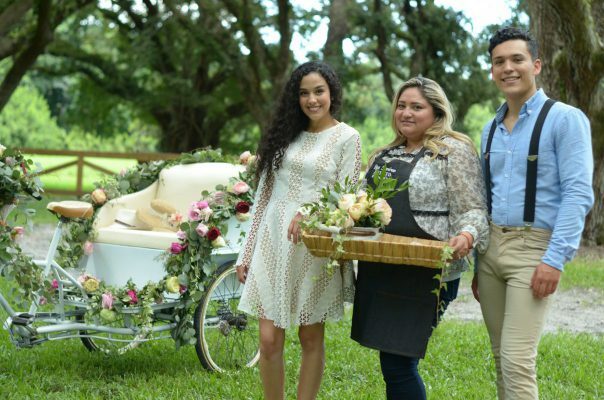 The couple held their engagement photoshoot at a local park in Miami, Fla. surrounded by fresh-cut flowers from Jet Fresh Flower Distributors. 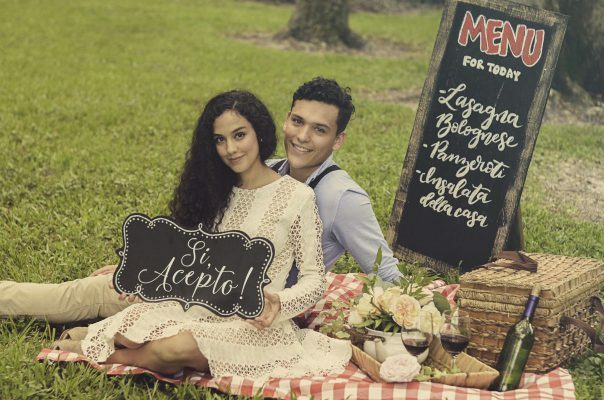 The 26-year-old Telemundo actress shared a garden picnic setting with her soon-to-be husband who proposed to her back in April 2018 while the couple were in Orlando. 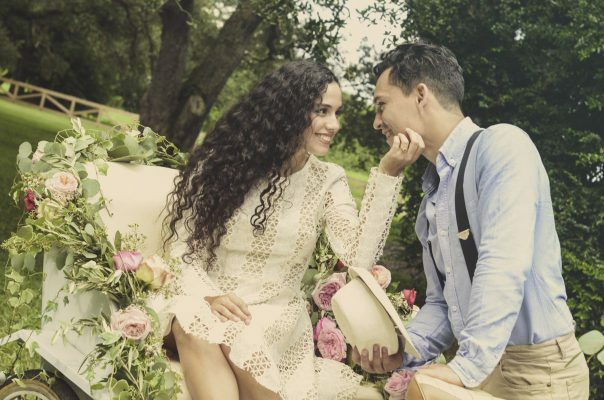 They were on vacation celebrating Estupiñan’s birthday when Bylin surprised her with the proposal after being romantically involved for over 4 years, according to People en Español. 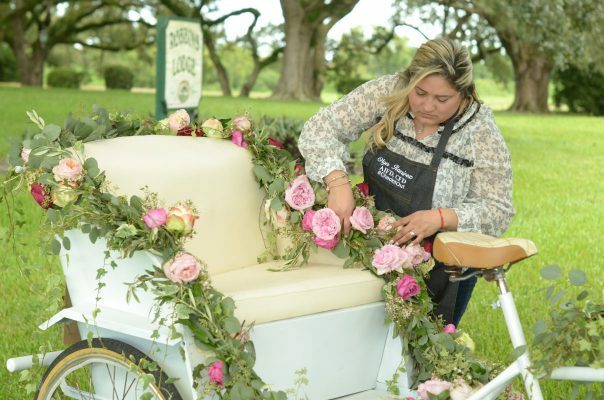 Our cash and carry manager, Olga Ramirez, AIFD, CFD staged this romantic picnic photoshoot with an garden scape featuring pink and cream garden roses and greenery from Jet Fresh Flower Distributors in Miami, Fla. 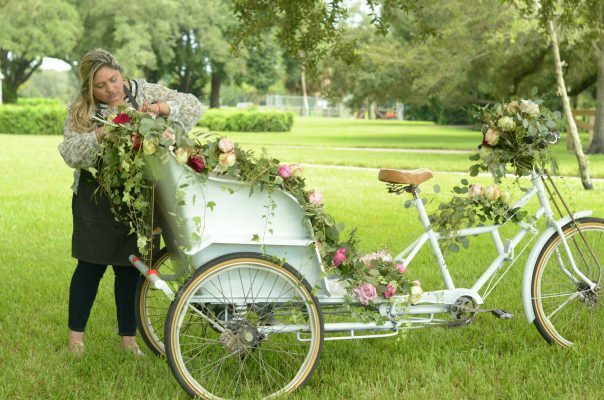 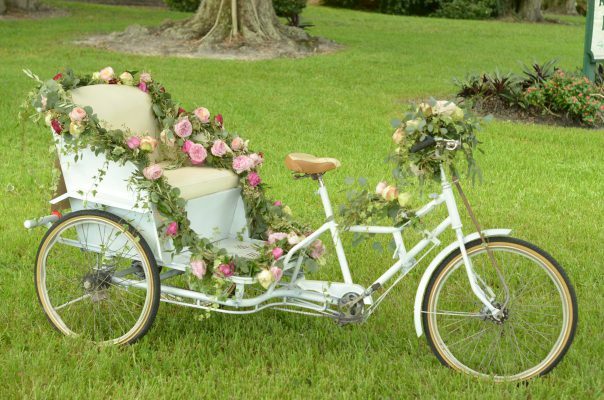 Using only fresh-cut flowers from Jet Fresh Flower Distributors, Olga designed beautiful floral details for Ana and Mattias engagement shoot including this lovely floral garland that’s draped over this white bicycle carriage. 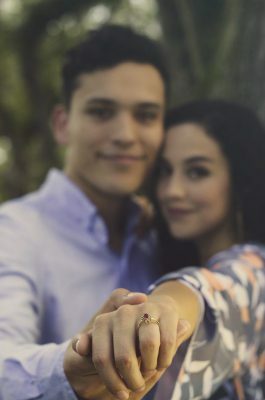 Big thanks to Vincent Photo-Graphic for providing us with these beautiful photos. 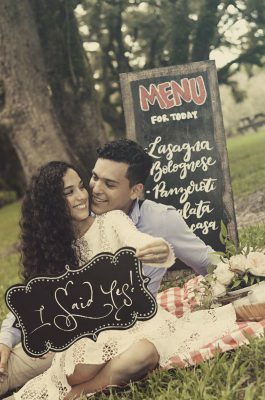 He did a wonderful job capturing the couple’s love and excitement during their engagement shoot as they continue to embark on this journey together. 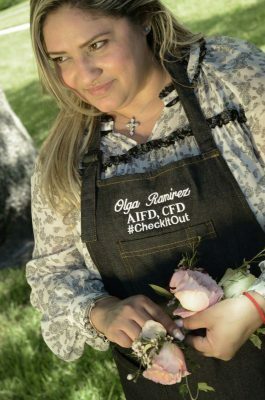 This entry was posted in News and tagged actress, aifd, Ana Maria Estupiñan, Engagament, jet fresh flower, La Niña, Mattias Bylin, olga, Olga Ramirez, photoshoot, singer, Telemundo, vincent, Vincent photographic.